Graywater is a film noir detective story set in a typical fantasy world, with gameplay that sits between RPG and adventure. 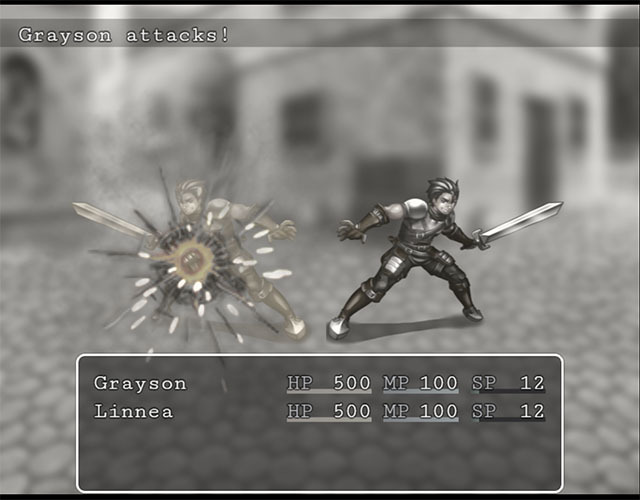 It was made in a four-week period for the BCIT Game Dev Club, with the theme of “grayscale fantasy”. Graywater was built as quickly as possible, against a closing deadline and little time to work. I used RPG Maker MV, which is similar to previous versions but is portable and works much better with source control. 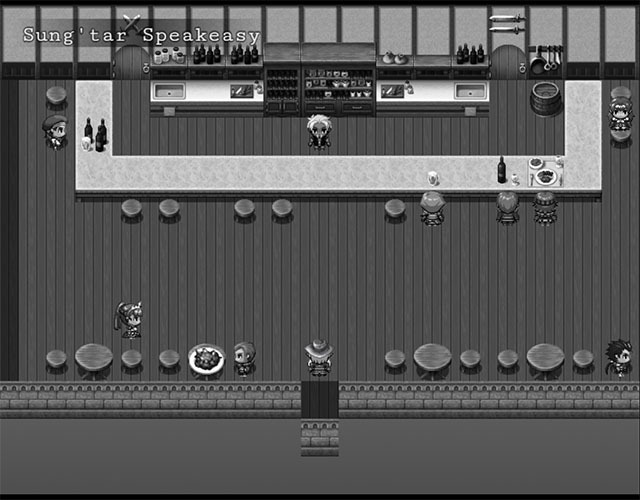 Most of the art is stock RPG Maker, processed into grayscale, with a few characters made with the built-in generator and a handful of new pieces mostly in cutscenes. I scoured the internet for every freely-licensed piece of music that fit the theme of the game. This game was definitely built in a hurry, but instead of overreaching I kept the scope small and tried to make it reasonably polished. The end result works pretty well and looks okay if a bit generic, and can be finished in about half an hour. 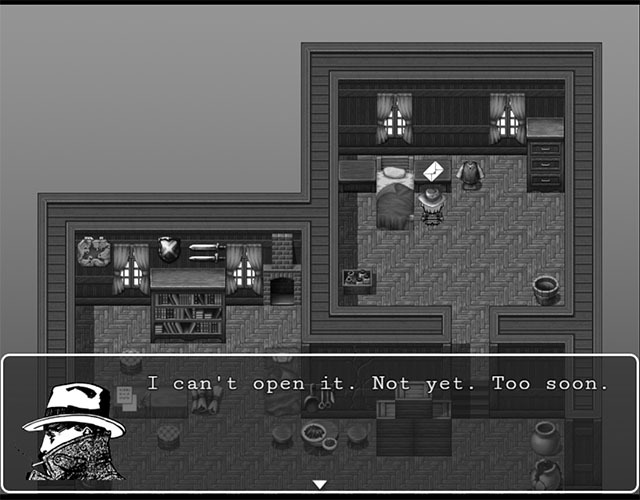 It was my first time with RPG Maker MV and my first attempt at writing noir, and overall a lot of fun to build.